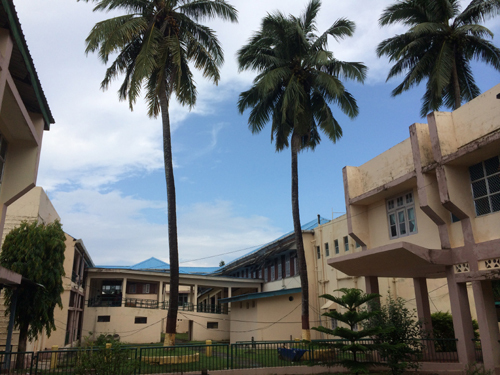 It is to bring to your notice that the coconut trees planted in the premises of the G.B Pant hospital (near female ward and dialysis unit and in the parking area) has become a safety hazard for the patients and the general public passing through that area. The coconuts keep on falling continuously creating a health hazard and can cause serious accidents with the patients and public in future. To avoid any such mishaps, it is requested to kindly bring to the knowledge of the authorities to cut down the coconut trees in the premises of G.B. Pant Hospital area.